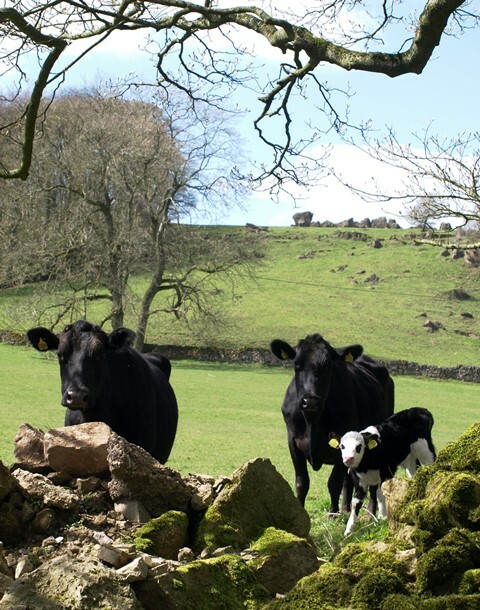 Why not take a tour of our stunning Peak District countryside? One of the best ways to explore our special Peak District is to get out and about on the country lanes. 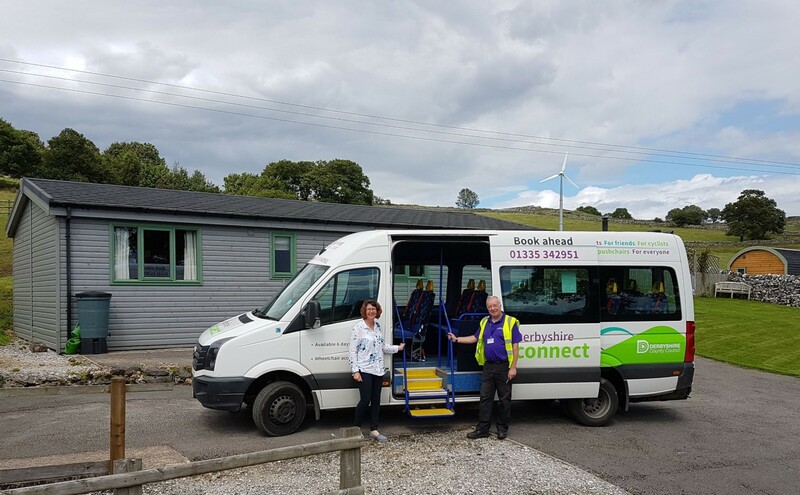 To make life easy we have been working with Ashbourne Community Transport to put together some mini bus tours of Derbyshire, including places of interest. Instead of driving you can have a complete break, relax back, enjoy the view, and let someone else do the hard work for you! The Derbyshire Connect minibus can seat up to 16 people, has a wheelchair access tail lift and is spacious. The cost is extremely reasonable and includes the driver with local knowledge of the area. 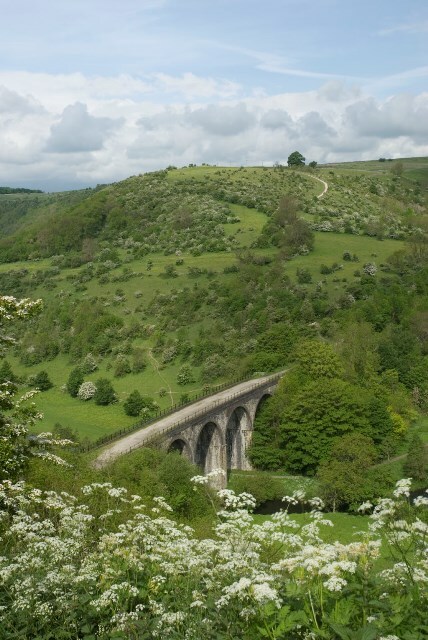 One of our favourite routes is the Southern villages, and moorlands, which includes short breaks at Tissington, Ilam, Butterton, Ecton and a two hour stop over in Buxton. 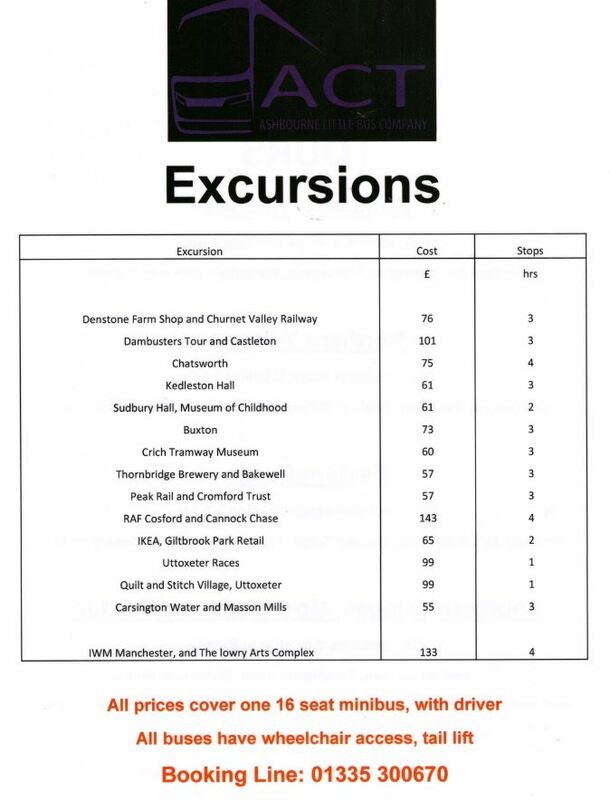 Other themed excursions include Denstone Farm Shop and Churnet Valley Railway, Dambusters tour and Castleton, Chatsworth House, Crich Tramway Village, Peak Rail and Cromford Trust, and Thornbridge Brewery and Bakewell. There are so many exciting places to visit that you could stay at Hoe Grange for a month and still not see everything! The bus will pick you up directly from your cabin and prices range from £57 up to £143 – extremely reasonable, even if you don’t fill all the seats! It’s quick and simple to book too, just call the booking line 01335 300670 to discuss the various options, where you would like to go and when, or e-mail info@ashbournect.org.uk. 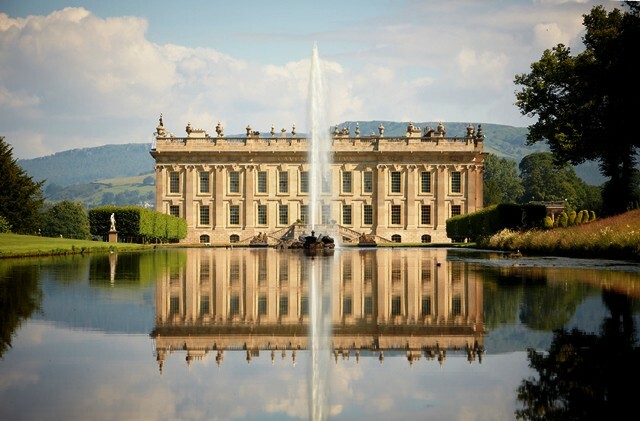 We hope we have inspired you to explore a little further afield – you will be surprised how varied the landscape of the Peak District is from North to South! As from previous blog posts you know that at Hoe Grange we #LoveLocal and support other local businesses where ever we can. 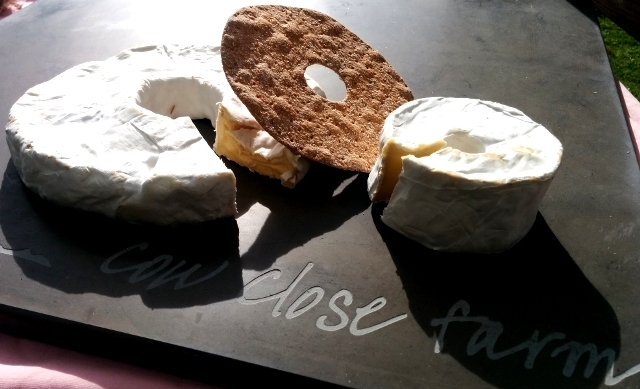 David and I relish discovering local artisan producers so that as our guests you can enjoy all the Peak District has to offer whilst on your holiday. 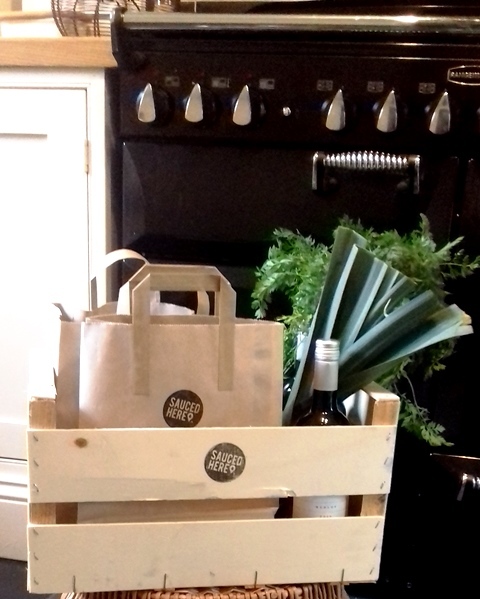 Our latest #LoveLocal find is Sauced Here – an ethical online shopping service – all the advantages of a supermarket delivery right to your cabin door ready for your self-catering holiday, but all the benefits of locally produced artisan quality goods. 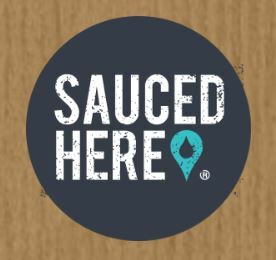 Sauced Here will deliver your groceries in one flexible delivery from carefully selected top purveyors in the area. Luke of Sauced Here has done the hard work sourcing high quality artisan products for you and they have everything covered from the basics such as Bloomers Bakery and Peak District Dairy, to luxury items such as Holdsworth Chocolates and Wee Dram Whiskey. 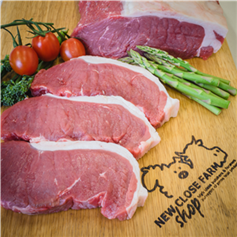 Where a suitable local product is unavailable an alternative is sourced through the network of independent retailers rather than major supermarkets. Everyone deserves to relax and take time out whilst on holiday. If you want to have a break from the kitchen Sauced Here also offers homemade prepared meals, created from locally sourced produce. 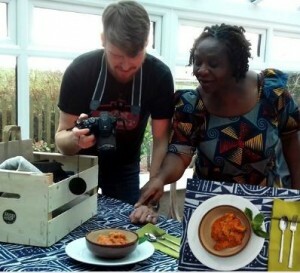 The meals are delicious and free from artificial preservatives and extra sugar and salt. Book a delivery slot to your cabin now. The early inspiration for Sauced Here, like all good ideas arose out of need. Luke Osborne went on a self-catering weekend with a group of friends. They booked a cottage in the countryside and organised for an online supermarket delivery for when they arrived. 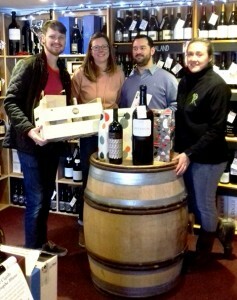 Luke and friends then spent the next day kicking themselves as they discovered all the amazing shops in the local village and wished they had waited to buy the local produce on offer. The group felt they had missed out due to lack of local knowledge and a need for convenience. 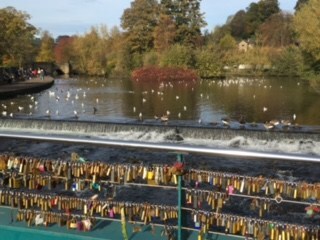 From that day on Luke started to notice how many great local businesses in his home town of Bakewell were closing down and wondered whether they were being passed by for similar reasons. Thus Sauced Here was born, and we are delighted to support this new innovative enterprise. Luke’s ethos fits in beautifully with our own Eco philosophy. 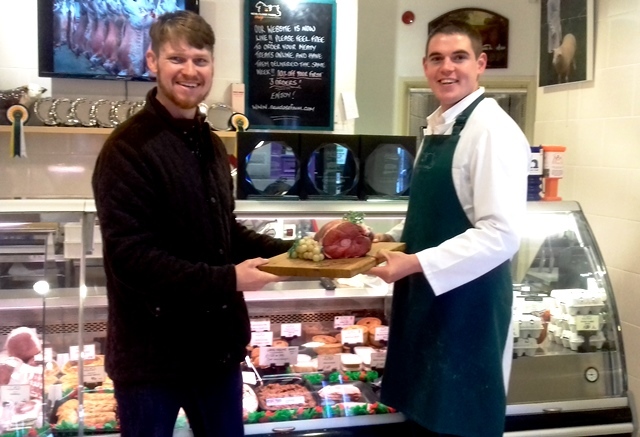 Luke’s mission is to source only the best of the local Peak District area – the best being defined by great taste, traceable origins and products created with passion. So now you can start shopping for your holiday safe in the knowledge that you are helping to care for the stunning Peak District landscape which you enjoy during your stay at Hoe Grange.